We bring forth for our customers best and most excellent quality assortments of Zinc Die Casting Alloys These offered casting are designed for zinc dies finished. They are manufactured with the use of modern machines, tools and techniques. These casting are existing in many grades. They are highly appreciated for corrosion finish design. They are used in corrosion free texture and durability. Our clients can avail cost effective rates. We, NRG Resources are foremost name in the market established in the year 2010, at Neemrana, Rajasthan. 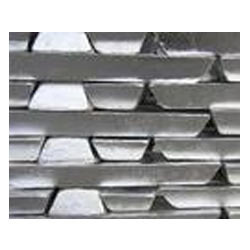 We are Manufacturer and Supplier of Zinc Die Casting Alloys, Zinc Alloy Ingot, ZAMAK (MAZAK).